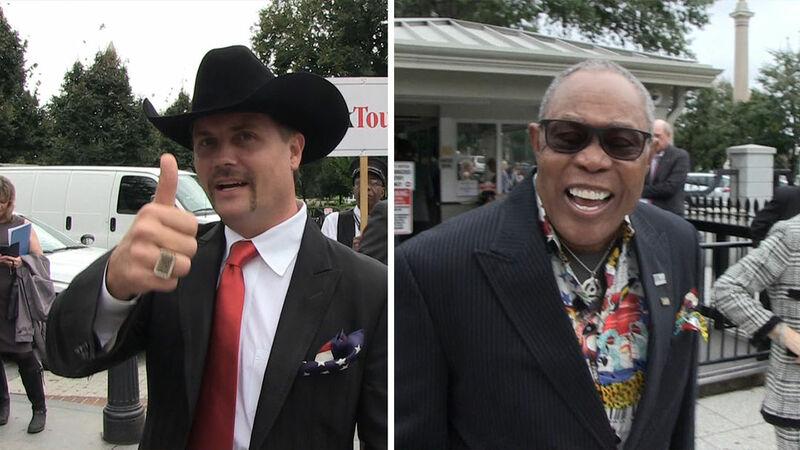 President Trump was surrounded by a ton of music greats at the White House Thursday morning, as he signed a new law that will benefit many of them ... but Kanye West was not in on the fun. 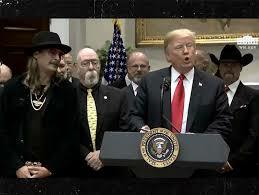 POTUS signed the Music Modernization Act with John Rich, Kid Rock and several other artists standing by to make speeches about the new law, and also to witness the actual signing. It all went down moments before Kanye's luncheon with 45 was scheduled to begin, so everyone expected Ye to join the other artists ... but he got to the White House juuuust a bit late. As we told you ... Kanye is there now -- he didn't come empty-handed -- and the lunch meeting with the Prez, Ivanka Trump, Jared Kushner and Jim Brown is set to begin. Stand by for fireworks ... and photo ops.